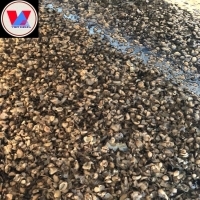 Grade :A Colour :white Size (DIA) :2 - 5 cm Part :whole Packing :as buyer's request Original:Viet Nam Oyster mushrooms is a foods nutritional value. Vegetable Protein (protein) twice larger than chicken eggs, are rich in minerals and vitamins A, B, C, D, E ... no toxins. Therefore be regarded as a "vegetable" and "fresh meat" improve nutrition for everyday meals and demand is growing. 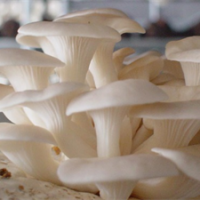 White Fungus Mushroom : Mushrooms are select edible fungi from fungi family that have a hearty meat-like texture that can enhance any dish. Benefits : Good source of Dietary Fiber, Protein, Vitamin C, Folate, Iron, Zinc and Manganese, and a very good source of Vitamin D, Thiamin, Riboflavin, Niacin, Vitamin B6, Pantothenic Acid, Phosphorus, Potassium, Copper and Selenium. 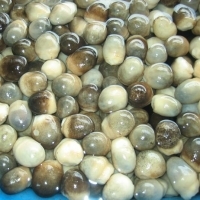 Variety available : Shitake, Enoki, Eryngii, Oyester, White Shimeji, Black Shimeji, White fungus, Black fungus. 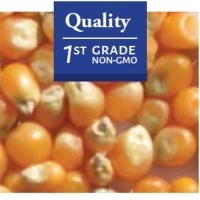 Primary uses : In soups, salads, stir fried dishes and sandwiches. Short on time? 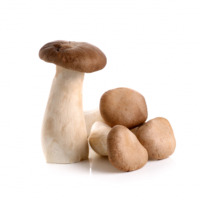 Let mushroom sellers contact you. Black Fungus Mushroom : Mushrooms are select edible fungi from fungi family that have a hearty meat-like texture that can enhance any dish. Benefits : Good source of Dietary Fiber, Protein, Vitamin C, Folate, Iron, Zinc and Manganese, and a very good source of Vitamin D, Thiamin, Riboflavin, Niacin, Vitamin B6, Pantothenic Acid, Phosphorus, Potassium, Copper and Selenium. 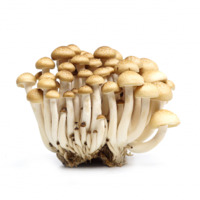 Variety available : Shitake, Enoki, Eryngii, Oyester, White Shimeji, Black Shimeji, White fungus, Black fungus. 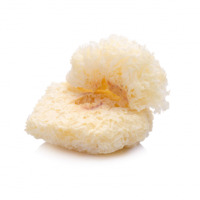 Primary uses : In soups, salads, stir fried dishes and sandwiches. 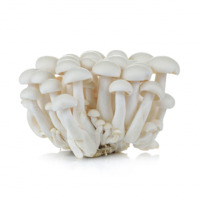 White Shimeji : Mushrooms are select edible fungi from fungi family that have a hearty meat-like texture that can enhance any dish. Benefits : Good source of Dietary Fiber, Protein, Vitamin C, Folate, Iron, Zinc and Manganese, and a very good source of Vitamin D, Thiamin, Riboflavin, Niacin, Vitamin B6, Pantothenic Acid, Phosphorus, Potassium, Copper and Selenium. Variety available : Shitake, Enoki, Eryngii, Oyester, White Shimeji, Black Shimeji, White fungus, Black fungus. Primary uses : In soups, salads, stir fried dishes and sandwiches. 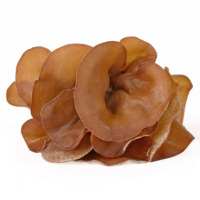 Shiitake : Mushrooms are select edible fungi from fungi family that have a hearty meat-like texture that can enhance any dish. Benefits : Good source of Dietary Fiber, Protein, Vitamin C, Folate, Iron, Zinc and Manganese, and a very good source of Vitamin D, Thiamin, Riboflavin, Niacin, Vitamin B6, Pantothenic Acid, Phosphorus, Potassium, Copper and Selenium. 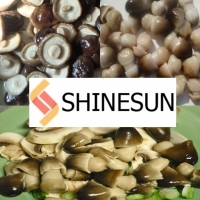 Variety available : Shitake, Enoki, Eryngii, Oyester, White Shimeji, Black Shimeji, White fungus, Black fungus. Primary uses : In soups, salads, stir fried dishes and sandwiches. Eryngii : Mushrooms are select edible fungi from fungi family that have a hearty meat-like texture that can enhance any dish. Benefits : Good source of Dietary Fiber, Protein, Vitamin C, Folate, Iron, Zinc and Manganese, and a very good source of Vitamin D, Thiamin, Riboflavin, Niacin, Vitamin B6, Pantothenic Acid, Phosphorus, Potassium, Copper and Selenium. Variety available : Shitake, Enoki, Eryngii, Oyester, White Shimeji, Black Shimeji, White fungus, Black fungus. Primary uses : In soups, salads, stir fried dishes and sandwiches. 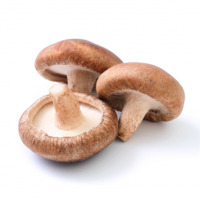 Brown Shimeji : Mushrooms are select edible fungi from fungi family that have a hearty meat-like texture that can enhance any dish. Benefits : Good source of Dietary Fiber, Protein, Vitamin C, Folate, Iron, Zinc and Manganese, and a very good source of Vitamin D, Thiamin, Riboflavin, Niacin, Vitamin B6, Pantothenic Acid, Phosphorus, Potassium, Copper and Selenium. Variety available : Shitake, Enoki, Eryngii, Oyester, White Shimeji, Black Shimeji, White fungus, Black fungus. Primary uses : In soups, salads, stir fried dishes and sandwiches. 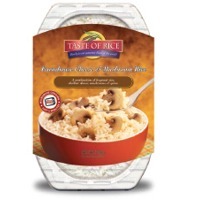 Zhengzhou CS Food Co., Ltd.